There's no doubt that I love jewelry, all jewelry...but I'm pretty particular about what I actually want to wear. I kind of need to force myself to wear bracelets and rings. Love them, it's just the feel of them touching me or clank is super annoying. Weird, I know. Earrings however, are my happy place! I did a post recently about trying to break my hoop earring addiction and I've been having a lot of fun mixing it up. Back in the day (high school days) I pierced my ears, a lot. Four in my left and three in my right ear. As with everything in fashion, all that is old becomes new again. 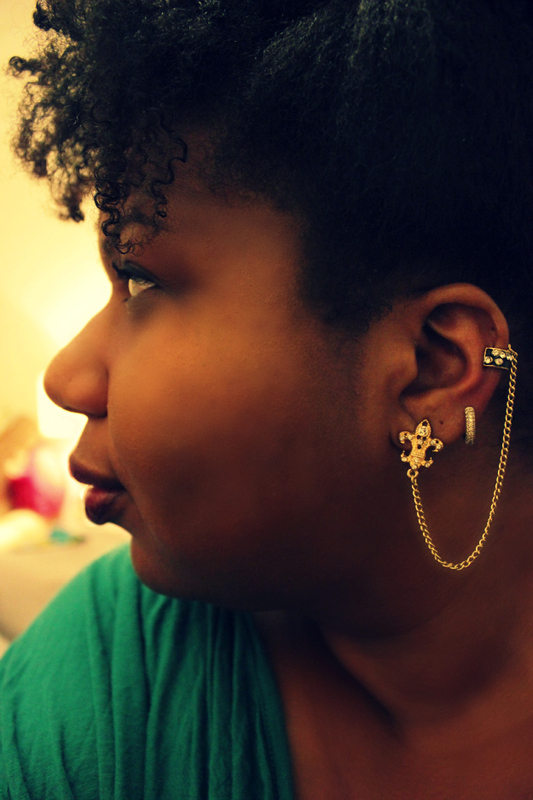 I had so many ear cuffs! None of which were nearly as amazing as this new generation (they completely remind me of Grace Jones in the best possible way). 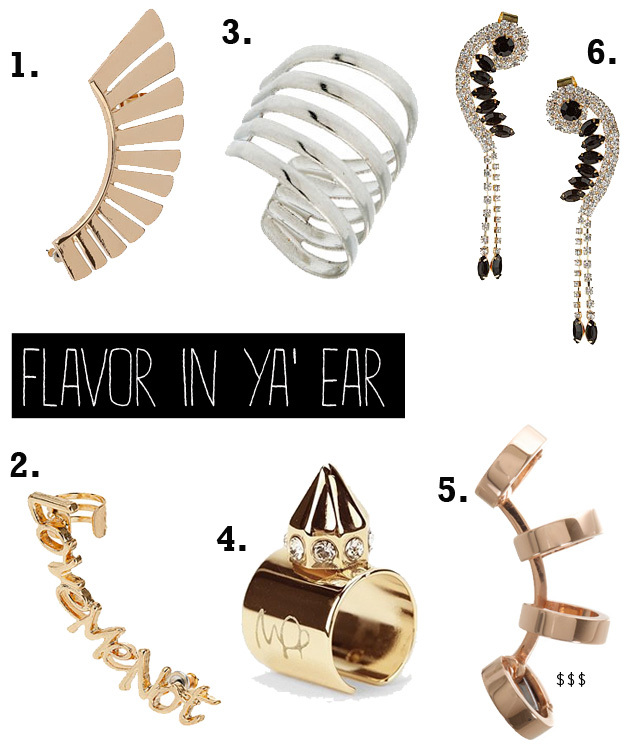 Extreme ear adornment is back, and I'm into it. So into it.